US #Syria arc: Assad's days numbered. Talk only w/unarmed opp. OK w/moderate rebels. CW deal. Stop nonlethal aid we didn't deliver. Geneva. A massive snowstorm has hit Lebanon, negatively affecting the scores of Syrian refugees seeking shelter in the country, The Associated Press reported Wednesday. A blustery storm dropped torrential rain and snow on Lebanon and Jordan on Wednesday, forcing aid agencies to scramble to distribute desperately needed winter supplies like blankets and plastic tarps to Syrian refugees who have sought safe haven in the countries. 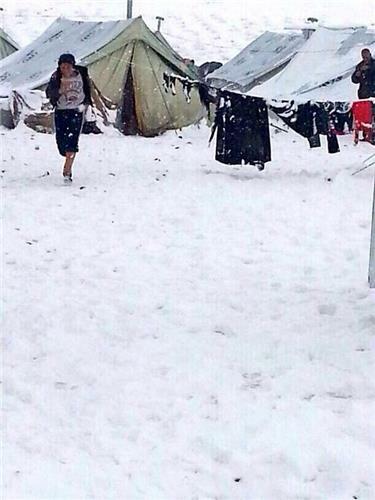 The storm, dubbed Alexa, pushed temperatures below freezing in northern Lebanon and some areas of the Bekaa Valley, which is dotted with informal refugee settlements. The winter weather heaped another layer of misery on the already grim existence of many of the estimated 1.4 million Syrians in Lebanon who fled the civil war raging in their homeland. Britain has also suspended aid to northern Syria, according to Reuters. The latest development follows an announcement the US was doing the same after Islamic Front forces seized buildings belonging to the opposition. The United States and Britain suspended non-lethal aid to northern Syria after Islamist fighters seized Western-backed rebel weapons warehouses, highlighting fears that supplies could end up in the wrong hands and the general chaos engulfing the nation. The rebel Free Syrian Army fighting President Bashar al-Assad said the U.S. and British moves were rushed and mistaken. "We hope our friends will rethink and wait for a few days when things will be clearer," FSA spokesman Louay Meqdad said. The suspension underlines a crisis for the FSA leadership which needs international backing to reinforce its credibility and to stop its fighters joining powerful al Qaeda-backed Islamist militants who now dominate the war with Assad. Read more at Reuters. The Associated Press also reported Wednesday that the UK is suspending nonlethal aid deliveries to Syria until it can ensure the safe delivery of equipment. UNHCR said worried for thousands of Syrians living in more than 200 informal camps in central &north #Lebanon ; "It's really cold in Bekaa"
Masked gunmen abducted a leading Syrian human rights lawyer and three other prominent activists in a rebel-held Damascus suburb Tuesday in a new sign that Al-Qaeda-linked groups who have joined the fight against President Bashar al-Assad are trying to silence rivals in the opposition movement. Razan Zaytouni, one of the most outspoken critics Assad as well as Islamic armed groups who have gained increasing sway over the fight to oust the government, was seized along with her husband and two other colleagues from her office in Douma. No group claimed responsibility for the kidnapping, but Zaytouni herself had publicly blamed Al-Qaeda-linked rebels for kidnapping activists and colleagues said she had received indirect threats from extremists in recent days. U.S. Defense Secretary Chuck Hagel briefed Qatari leaders on Tuesday about the effort to destroy Syria's chemical weapons, and he underscored U.S. support for Syria's moderate opposition. 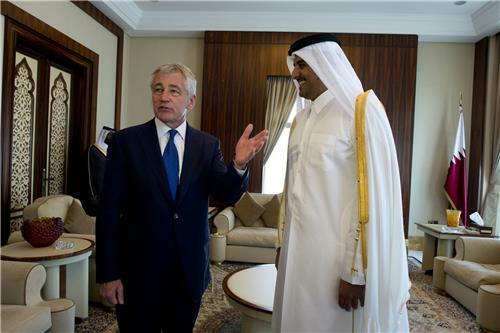 Hagel met with Qatari Emir Sheikh Tamim bin Hamad and Defense Minister Hamad bin Ali al-Attiyah on the last day of a visit to the region to reassure Gulf Arab allies of continuing U.S. support, despite disagreements over Washington's policy toward Syria and its diplomatic overtures to Iran. Hagel told reporters at Al Udeid Air Base that he spoke with Qatari leaders about international efforts to destroy Syria's chemical weapons and the reasons Washington was focused on narrowly supporting the moderate Syrian opposition. Gulf Arab states, notably Saudi Arabia and Qatar, have been arming and helping rebel groups, though the extent of foreign influence over a constantly evolving rebel landscape is unclear. Croatia is considering taking part in the destruction of Syria's chemical weapons, but only if there is no opposition from the public, the Adriatic country's prime minister said Tuesday. Prime Minister Zoran Milanovic said there are "consultations" throughout the Mediterranean states about Syrian weapons possibly being shipped to one of their ports before being reloaded and destroyed by the U.S. military, "probably somewhere in the Atlantic." Milanovic called for a "public debate" over the possible reloading project. "We can take part in the noble project, or we don't have to," Milanovic said. "But the Croatian public has to know what it's all about." Under a threat of public unrest, Albania last month refused a U.S. request to host the destruction of Syria's chemical arsenal, a serious blow to efforts to destroy that stockpile by mid-2014. The head of the OPCW, the chemical weapons watchdog in charge of destroying Syria's chemical weapons, officially accepted the Nobel Peace Prize Tuesday in Oslo, The Associated Press reported. The United Nations Refugee Agency said the UN is launching the first airlift of aid supplies from Iraq to the Kurdistan region of North Syria with Damascus' permission, Reuters reported early Tuesday. The airlift aims to reach at 60,000 vulnerable Syrians in Hassakeh who have been out of reach, a UNHCR official told Reuters. A senior UNHCR official told Reuters the airlift to Hassakeh from Erbil, Iraq is scheduled to begin on Thursday. Up to 12 flights are scheduled through Sunday. Lebanese authorities are mobilizing to help Syrian refugees living in makeshift camps ahead of a winter storm expected to bring snow and heavy rain, the social affairs minister said Monday. "There are a large number of informal camps... and quick action is required with the approach of the storm," which is expected to arrive on Tuesday night, the minister added. Abu Faour said Lebanese authorities, working with the army and international aid agencies, had begun distributing plastic sheeting and wood planks to refugees living in informal camps, along with heaters and food aid. At least 835,000 registered Syrian refugees are living in Lebanon, some renting apartments, others living with Lebanese families and thousands sheltering in makeshift shelters in unofficial camps. The preparations come ahead of the expected arrival of "Alexa," a winter weather front that is forecast to bring several days of rain and snow for Lebanon, and a steep drop in temperature. Italy: refugees fleeing the conflict in #Syria represents a security threat to EU; "potential terrorists could be among the displaced"
According to Reuters, the Syrian army has retaken control of a road need to ship chemical weapons out of the country. Syrian President Bashar al-Assad's forces have taken control of a highway connecting Damascus to the coast that is needed to extract hundreds of tons of toxic chemicals for destruction, a monitoring group said on Monday. Fighting in Syria poses a hurdle to implementing an agreement between Damascus and the Organisation for the Prohibition of Chemical Weapons (OPCW) to remove the deadliest chemicals weapons by the end of the year to be destroyed. The army started an offensive in mid-November to secure the highway, which passes through the mountainous area of Qalamoun, roughly 50 km (30 miles) north of Damascus, stretches along the Lebanese border and hosts many military bases and outposts. The army has retaken the highway towns of Qara and Deir Attiyah from mostly Sunni Muslim rebels fighting to oust Assad, and has made inroads around the town of Nabak close to the road. Organization for the Prohibition of Chemical Weapons Director-General Ahmet Üzümcü gave a press conference Monday ahead of the Nobel Peace Prize ceremony Tuesday. 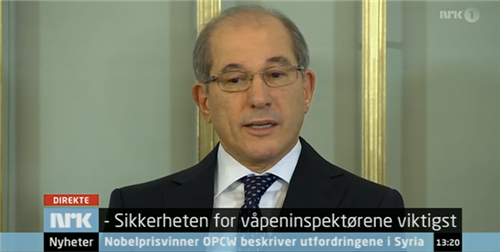 The OPCW will be awarded the prize Tuesday in Oslo. During Monday's press conference, Üzümcü said eliminating Syria's chemical weapons will not end the country's civil war but he hopes doing so will pave the way for peace in Syria, adding that the 'country has been ruined' by the fighting. Üzümcü said the international community's unified actions in regards to Syria were 'unexpected' but welcome and reiterated his hope that destroying the country's chemical weapons will be an important first step in achieving peace. He also said he hopes to have Syria's chemical weapons destroyed according to the timetable already laid out by the organization. Nabk located along highway; OPCW considering using highway to transport CW to Latakia port before taking out of #Syria for destruction. An international watchdog said it has verified the destruction of all of Syria's unfilled munitions for delivering chemical agents, another milestone along the road to eradicating President Bashar al-Assad's chemical weapons program. The Organisation for the Prohibition of Chemical Weapons said in a statement that its experts in Syria also have verified the destruction of parts of buildings at weapons production facilities. The latest destruction work was near the city of Homs -- sites that the OPCW said had been inaccessible due to security reasons. The Syrian army has been advancing against rebels and on Monday troops reopened the highway linking Damascus with the central city of Homs. 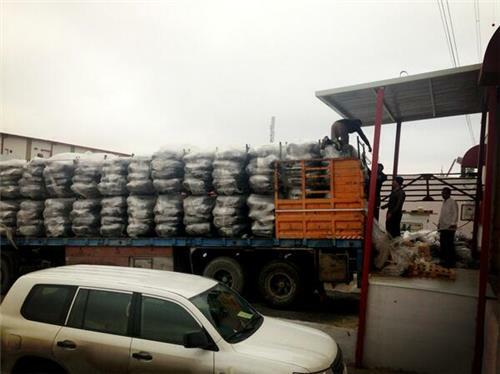 The highway is a key road leading to Syria's coast and could open the way for transporting the country's chemical weapons to be sent to the port of Latakia before they are taken out of the country for destruction. A group of Syrian Greek Orthodox nuns reportedly seized by rebels from a convent near Damascus denied in a video broadcast Friday that they had been kidnapped and said they were being held in a safe place. It was the first appearance by the nuns, whose alleged Monday abduction has increased concerns about the treatment of Christians by hard-liners in the rebel ranks, particularly as the fighting has engulfed more Christian villages in recent months. In the video aired by Al Jazeera Friday, the Greek Orthodox nuns appeared healthy. They sat on sofas in a "villa" at an undisclosed location, and took turns speaking, saying they were escorted out of Maaloula to keep them safe from the shelling. "The brothers are treating us well and have brought us from the convent here and we are very happy," one of them says to the camera. The video appeared authentic, but it was impossible to independently verify it or to know if the nuns were speaking under duress. Greek Catholic Patriarch of Antioch Gregorios III Laham, commenting on the video, thanked all who contributed to making the nuns comfortable, but said: "Real comfort would be in their homes." His comments were published in Lebanon's official National News Agency. A Lebanese soldier was killed Thursday as pro- and anti-Syrian regime supporters clashed in Lebanon's second largest city Tripoli, breaking an army-imposed truce, a security official said. "A soldier was killed by a bullet to the head," the source said, not long after reporting at least six soldiers were among eight wounded during fighting in Bab al-Tebbaneh, a neighborhood that has been at the center of unrest for more than a year. The latest fighting comes after authorities decided on Monday to place Tripoli under army control for six months after a wave of sectarian killings linked to Syria's war left 11 dead in the main northern city. Thursday's shooting broke out after a group of young men accosted a Lebanese television team filming on Syria Street, which divides the two districts. "The army intervened, and gunfire erupted between them and the soldiers... which degenerated into shooting from both neighborhoods and the army responding in both directions," the security official said. Reporters Without Borders has released a statement on the death of freelance cameraman Yasser Faysal al-Joumaili. The statement was originally written in French but can be translated on RWB's website. "Yasser Al-Joumaili is the first foreign journalist killed by an armed group" opposition "in the said areas" liberated "northern Syria. This murder shows the importance of the mobilization of the international community, Syrian and international organizations defending freedom of the press and all the players information to fight against all those who intend to muzzle the media and silence their employees, "said Reporters Without Borders. The organization is a partner of the "Campaign for Free press Syria ", launched on December 2, to denounce the" deliberate strategy (ISIS) to stifle press freedom and impose a new widespread censorship of the Syrian people ". According to reports, Yasser Al-Faysal Joumaili was ten days in northern Syria, where he was reporting on behalf of a Spanish media. Several sources indicate that he was abducted Dec. 4, 2013 by the jihadist group ISIS (Islamic State of Iraq and Sham) in the Idlib region before being executed. The exact circumstances of this murder is still unknown. His body is now in Turkey. The Syrian exodus has become one of the gravest global refugee crises of recent decades. More than two million people have fled Syria’s civil war, most resettling in neighboring Jordan, Turkey and Lebanon. But since this summer, refugees have also started pouring into Europe in what became for many weeks a humanitarian crisis in the Mediterranean. Over five months, Italy’s Coast Guard rescued thousands of Syrians, even as hundreds of other migrants, including many Syrians, died in two major shipwrecks in October. 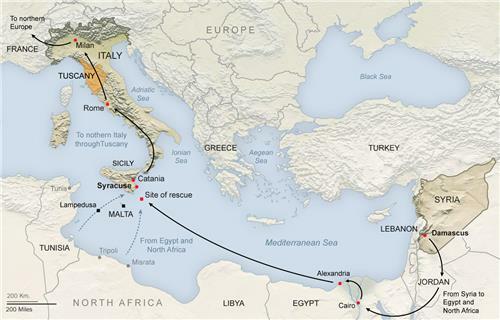 For many, reaching Europe was merely the beginning of another difficult journey. Having risked their lives in hopes of settling in prospering Northern Europe, many Syrians found themselves trapped in the south, living illegally in Italy, hiding from the police, as they tried to sneak past border guards and travel north to apply for asylum. The United States sees value in getting to know Islamist militias in Syria, in order to better understand their intentions in the civil war there and their possible links with Al-Qaeda,said General Martin Dempsey, chairman of the US Joint Chiefs of Staff, on Wednesday. Dempsey did not say directly whether the United States is holding face-to-face talks with Islamist rebel groups. But he said Washington was still seeking to better understand the contours of the different Sunni Muslim rebel groups, some of whom purport to be affiliated with Al-Qaeda. "I think it's worth knowing whether these groups have any intent whatsoever to be moderate and inclusive, or whether they...from the start intend to be radical," Dempsey told reporters. "So I think that finding that out, however we do so, is worth the effort." Healthcare has also become a 'weapon of war' for the government, which has targeted doctors and withheld vaccinations from children in opposition-held areas, said Rola Hallam, a volunteer with the medical charity Hand in Hand in Syria. She said women and girls who had been raped during the conflict then found they were being stigmatised by their relatives, adding to their misery. "If they are married they are (being) divorced. Their families do not want them. There are lots of honour killings going on," she told an international women's rights conference in London hosted by Thomson Reuters Foundation and the International New York Times. Women and minors in Syria are being raped by government and paramilitary forces, Hallam said. "My dad is a gynaecologist and he was referred an 11-year-old and a 14-year-old pregnant girl as a result of that," she said. Their fathers had threatened to kill them, and they had been abandoned by their families. oth Saudi Arabia and Israel are highly critical of embattled Syrian President Bashar al-Assad. During her daily briefing, State Department spokeswoman Marie Harf addressed a wide range of issues regarding the situation in Syria. Her comments covered everything from the humanitarian situation on the ground to the splintering opposition and which opposition groups the US works with. 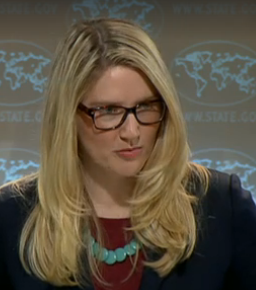 "We remain very concerned about the humanitarian situation," in different areas in Syria, Harf said. Just to highlight the humanitarian crisis in the country, Harf cited statistics that there are 2.5 million Syrians who receive little to no assistance in difficult to reach areas. She also said she had no update on the nuns who were kidnapped earlier this week. If they were taken for their safety, they should be released, Harf said. And if they were not taken for their safety, Harf condemned the kidnapping. Responding to a different set of questions about the various opposition groups in Syria, Harf said: "We do not engage with terrorists" or groups that have been designated as terrorists. She stressed that the United States and other involved parties need to find ways to get the various opposition groups to accept the need for a political solution in Syria. "We need to get these groups to buy into the notion" that there needs to be a political solution, Harf said. In response to reporters' questions, Harf also addressed comments Ambassador Crocker made to The New York Times. Harf stressed that 'it is because of the regime's actions' that terrorists groups are even flourishing in Syria in the first place and said the US is not talking to Assad on terrorism, according to McClatchy Newspapers Hannah Allam. The US is still tracking toward a Geneva 2 peace conference right where the regime will have a delegation, as will the US, the United Nations, the opposition, and others, Harf said during the briefing. Finally, Harf demurred on rumors the upcoming Geneva 2 peace talks won't actually be held in Geneva, since hotels are full. She said she didn't have any comments on that story. Rocket fire has killed at least 17 in the Syrian city of Aleppo, Reuters reported Wednesday. The British-based Syrian Observatory for Human Rights said the casualties included nine civilians and five members of President Bashar al-Assad's security forces. It put the death toll at 18, one more than was reported by state news agency SANA which called the rocket fire a "terrorist attack ...on residential districts" of the disputed city. Assad's forces have gained ground to the southwest of Aleppo and carried out air strikes, dropping improvised barrel bombs from helicopters on the town of al-Bab to the northeast. The NATO Russia Council on Wednesday adopted a statement urging all parties in Syria to cooperate with the joint UN-OPCW mission, according to a press release from NATO. The NATO Russia Council (NRC) also exchanged views on global security issues including Afghanistan, Iran and Syria. The NRC adopted a statement supporting the work of the joint United Nations-Organisation for the Prohibition of Chemical Weapons (OPCW) mission which is overseeing the destruction of Syria’s chemical weapons stockpiles and production facilities. The Foreign Ministers urged “all Syrian parties to cooperate” with the joint UN-OPCW mission. Ministers urged all Syrian parties to ensure unfettered access and a secure environment for the joint mission. The statement added that NRC member states stand ready to consider further assistance to the mission, if requested. Ministers also made clear that the only solution to the Syrian crisis was an inclusive and Syrian-led political process and they welcomed the decision to convene the International Conference on Syria in Geneva in January 2014. Amid the chaos of a two-and-a-half year war, civil marriage has arrived in Syria, activists and officials in the northeastern town of Qamishli say. Syrian Kurds Hmaren Sharif and her groom, Rashou Suleiman, signed the country's first civil marriage contract over the weekend, under new laws administered by the ruling Kurdish Democratic Union Party, or PYD. The ceremony in Syria's semi-autonomous Kurdistan region was presided over by the co-mayors of Qamishli, a city of nearly 200,000 where Kurds are the majority but Arabs, Assyrians and Armenians have long co-existed. "From now on, the municipality of Qamishli will sign the contracts of all who (wish to) marry," said Sima Bakdash, one of the co-mayors who signed Sharif and Suleiman's marriage license, according to news outlet 3arabi Online.